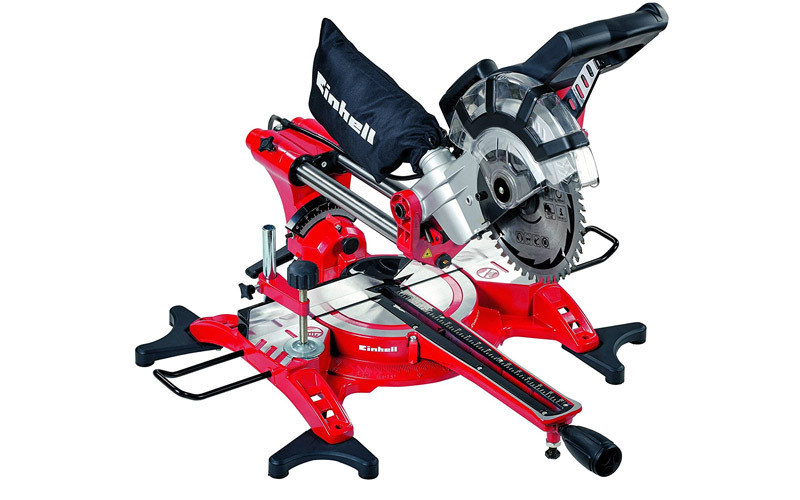 Would you like to get the best sliding miter saw? Have a look at our ranking! 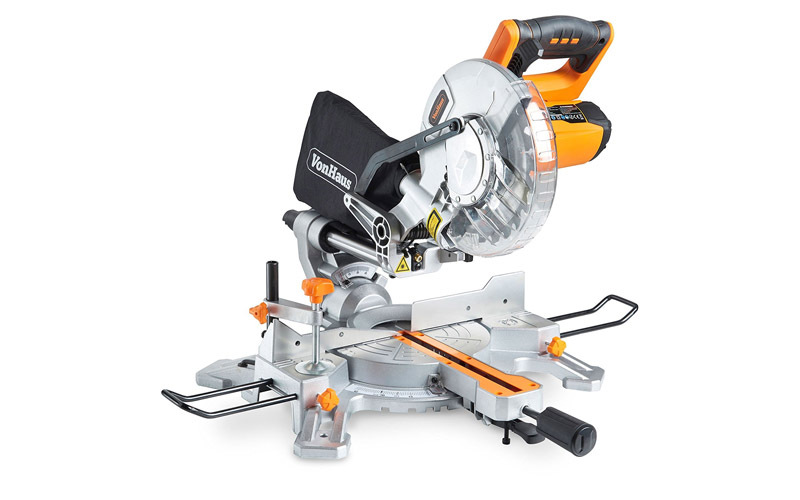 What is the best sliding miter saw uk? Find it yourself! It’s quite difficult to find the right sliding mitre saw that can be used for multiple purposes in the field of carpentry. Of course the type of tool we choose may vary from the particular uses. It is all dependent from what we expect from sliding mitre saw. The article you are going to read provides all the interested persons with five suggestions of best sliding mitre saw on the market. Except for that, you will also receive general knowledge regarding sliding mitre saw, how to pick the best one, and what are the benefits of using sliding mitre. Let’s now see which are the most recommended tools! It’s not hard to imagine why Bosch has become the most interesting product in regard of sliding mitre saws. The first advantage is of course the power of its motor. In here, we have 1400 W motor at our disposal. As a result, we are guaranteed to have highly efficient and effortless cutting. We can apply the cut for all the popular jobs and materials, without worrying about too weak device. If something is that powerful, many of you believe it has to be heavy. Not in this case! The overall weight of 13.5 kg is everything Bosch weighs, making it not only very powerful, but also lightweight product. It is also comfortable in use and it’s all thanks to functional attributes like for example vertical handle, guard lock out button, and some other advantages. It doesn’t matter if you are right or left handed, this device will suit you! The only issue with this model is its price. This is the most expensive suggestion in our list. Yet with price comes quality! We do not need to spend so much money for very powerful machine. VonHaus offers us even more power, 2000W motor that is, where we can cut through such materials as wood, plastic, and even more demanding ones like aluminium and steel. We also receive here very powerful support bars, which can be used to take some weight of long work elements. An interesting addition in the form of functional feature is a dust bag, which may be used for collecting all the debris from your work. For the purpose of security, it is worth to add that the manufacturers decided to include wood clamp, which lets you keep everything steady and safe. To make sure that we are describing one of the best sliding miter saws, reviews have been taken under consideration. They show how many people believe the combination of cheap and beginner-friendly tool makes this choice worthwhile. 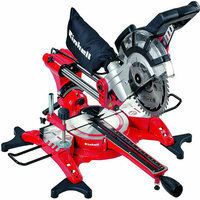 As mentioned above, it is a budget miter saw but don’t let it fool you – it is still very effective and powerful tool! 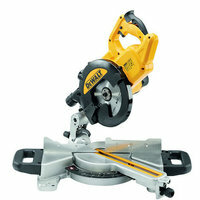 Yellow/Black mix of colours and a lot of angles are the characteristic elements of Dewalt. However, there are other things that make this tool quite interesting choice. For example, you can see the product is equipped with brand new function that allows the head to be fixed. This new head lock function is great for trimming and also for transporting. If you are looking for variety of mitre stops, you can choose 15°, 22.5°, 30°, 45°, and even up to 50°! Mitre mechanism is integrated and flexible, making it very interesting and hard to find addition. We can’t forget about dust extraction – better and enhanced version you are not going to find in any other sliding mitre saw on the market! Of course all of this is packed up in resistant to damages casing, making it durable and very effective tool for professional use. The price; however, is pretty competing to the winner of our ranking. Therefore, it is one of the most expensive choices on our list. This particular model doesn’t surpass other products in any features, but the thing that makes Metabo very interesting option is the fact that it competes with other manufacturers having in mind the most important features. For example, we can see here very accurate cutting, which is supplemented by slide function. Thanks to that we can operate with wide work pieces and cut them with no problems whatsoever. Another thing that makes this tool quite interesting is huge precision of angle adjustment. It is all thanks to turntable feature. Weighing only 13 kg making it yet another asset of this product. Overall, it doesn’t have any significant flaws, ensuring decent level in almost every important aspect of this product. The manufacturers also took care of functionality. It means we have here work clamp with release button, adjustable bolt, and many other additions that are waiting for you to test them out! The price is also very average. Because of that we can hope for better machine that doesn’t cost us fortune. This particular product guarantees highly efficient and swift operation, especially if we want to cut such materials as wood, plastics, and laminated elements. In addition to that, they should also work quite well with other soft materials. However, we are not going to cut through steel or aluminium, since the whole machinery is made of aluminium. Feature you won’t find in any other tool is built-in laser that indicates the cutting line and helps you make straight and clear cuts. However, in many cases laser is just out of settings, so it is very difficult to make use of it properly. Even if you want to cut long pieces, this model will help you with that. Thanks to the use of double-mounted drag function, you are ready to take care of any type of material, no matter what size it is. The price for this saw is quite decent. We can save dozens of pounds when compared to the winner of our ranking. If the following suggestions do not fulfil your expectations entirely, you can always try to find the best product by yourself. 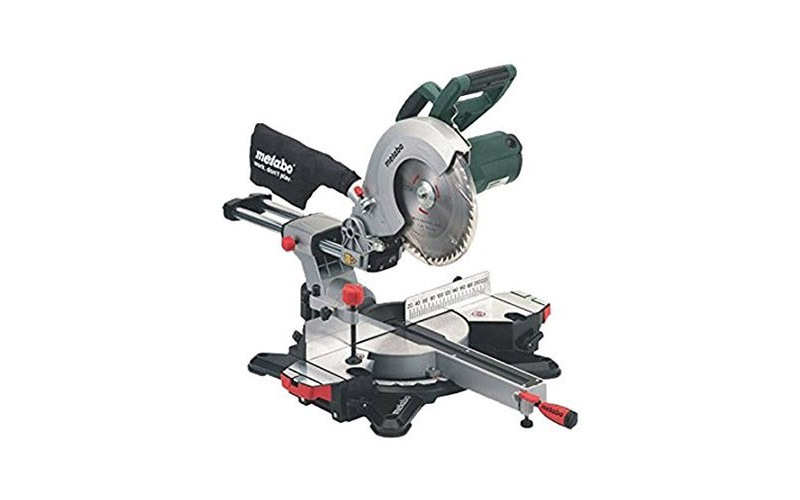 Of course if you are looking for budget miter saw and at the same time you wish to have the best 12 inch sliding miter saw, then your searches will occur more difficult than you can imagine. 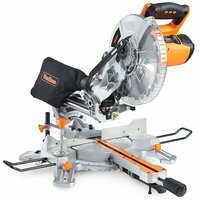 https://snapguide.com/guides/choose-the-right-miter-saw/ covers all the basic knowledge regarding sliding mitre saws. Of course you can take a look at our own list and see shortened depiction of the most important aspects! When looking for sliding mitre saws, you should always look at the power of the device. Depending on the purpose of the tool, you shall always choose the ones with the biggest power. It gives you improved culture of work, increased effectiveness, and very big cutting power. Except for that, higher power quite often equals with durability and blades that are capable of cutting through harder materials like for example aluminium and steel. Durability is strongly connected with the power. 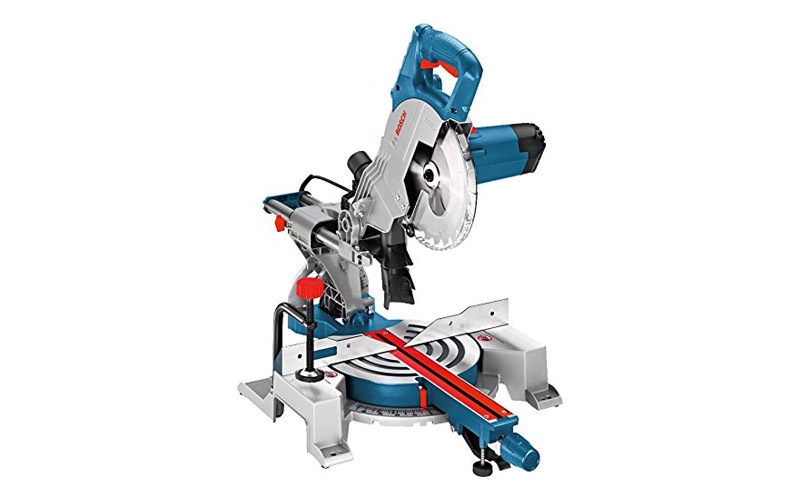 Even if you are looking for the best 10 inch sliding miter saw, you will need some powerful motor in order to cut through all the materials with ease. The higher power, the bigger chance your tool won’t have problems with performance. Of course durability is also connected with the components that were used for manufacturing. 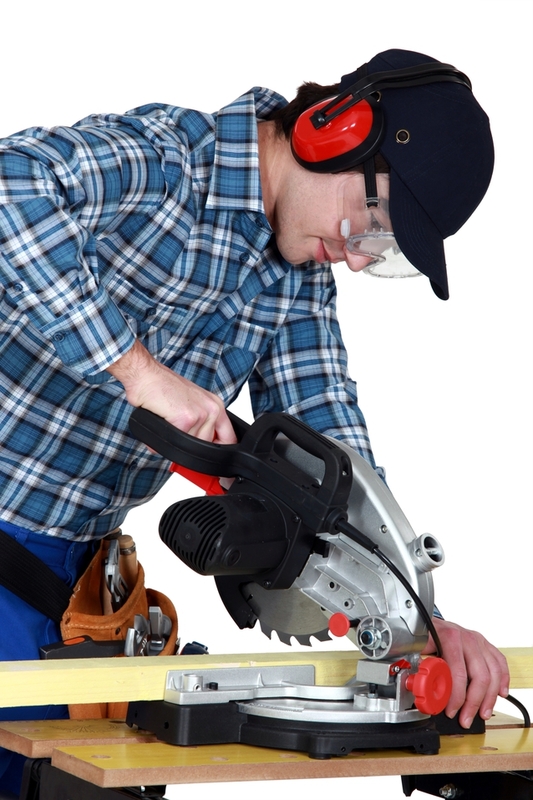 It is recommended to look for aluminium or steel sliding mitre saws. Yet another indicator of how durable your tool is. 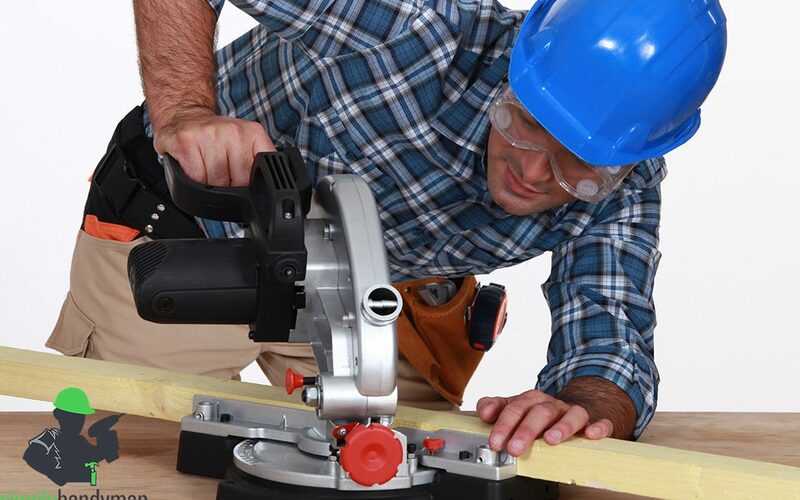 While looking for the best sliding miter saw, take into account the length of the warranty. Some producers do not provide us with warranties at all. In these cases, it is quite risky to purchase the tools since they may not withstand even a year. 2-year warranty is, in our eyes, the minimum you should consider. It is probably the most important element of cutting itself. While looking for blades, bear in mind that you should always look for two parameters: the depth and the height of the cut. They determine whether the blade is prepared for hard materials and for wide work pieces. Of course you should always read producers’ descriptions, where you can see if blades are destined for wood, aluminium, plastic, or steel. Features that will give you better working experience are always nice addition and we shouldn’t forget about them. There are different types of features that will facilitate the whole process of cutting through materials. For example, we can find lasers that indicate the line of cutting, we can hope for special clamps for greater stability. We can’t forget about protection measures, which define how secure particular product is. If you are an amateur or beginner in using sliding mitre saws, you should look for easy to use products that are beginner-friendly. Except for that, we should also draw our attention to dust collectors (how efficient they are), adjustable rear fences, and many other accessories. 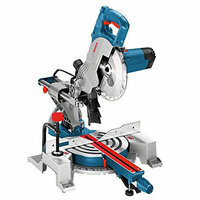 This is not the most important aspect of choosing the best sliding mitre saw, but you should consider it either way. Other customers, who purchased the product you wish to have, can review it and give you verified feedback how it works. Of course you shouldn’t base the purchase on one positive or negative comment. People tend to use tools for different purposes. Conclusion – which one to choose in 2019? We hope that the following list as well as descriptions will help you choose the right miter saw for beginners. 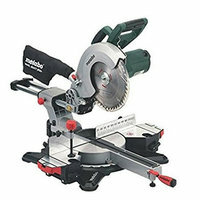 Remember to take under consideration all the elements like for example reviews to choose the best sliding mitre saw. 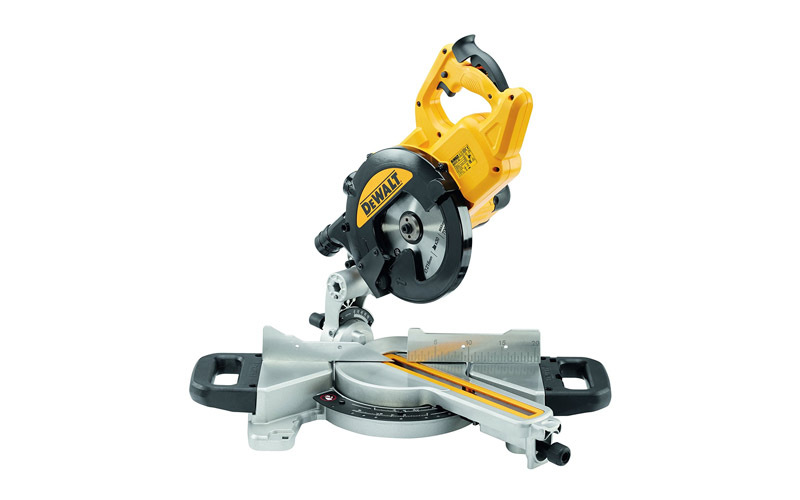 Now you know what’s the best sliding mitre saw on the market!